Bonds vs Leyland. Barry Larkin. Herzog vs Templeton. Johnny Podres. The White Autos. | ninety feet of perfection. Bonds vs Leyland. Barry Larkin. Herzog vs Templeton. Johnny Podres. The White Autos. Spring Training of 1991. I actually remember watching this clip on Baseball Tonight back in the day but forgot about the incident until I recently discovered this video. Jim Leyland has always been one of my favorite Managers in the game and this clip further validates that for me. If you’re wondering why Leyland was so angry, it was the result of Barry acting in typical Barry fashion. From what I’ve read, Bonds and the team’s publicist got into an argument due to demanding his own personal photographer instead of the team photographer. Minutes after this incident, another ensued in which Bonds got into a shouting match with Pirates Coach Bill Virdon during fielding drills when he was accused of not hustling. Leyland had enough at this point and told Barry what was up. 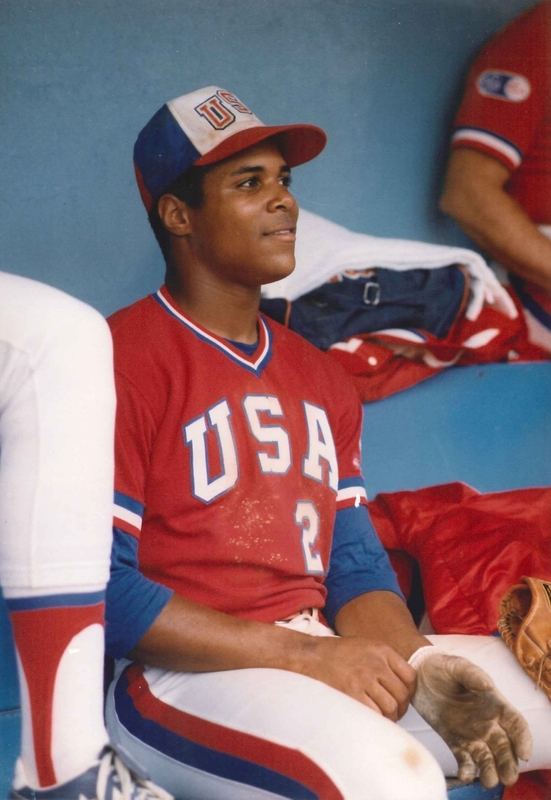 A great photo of Barry Larkin from the 1984 Olympic Games. Larkin was a Hall of Famer through and through. The fact that he did not get voted in until his second year of eligibility is an injustice to his legacy as a player. August 26th, 1981. 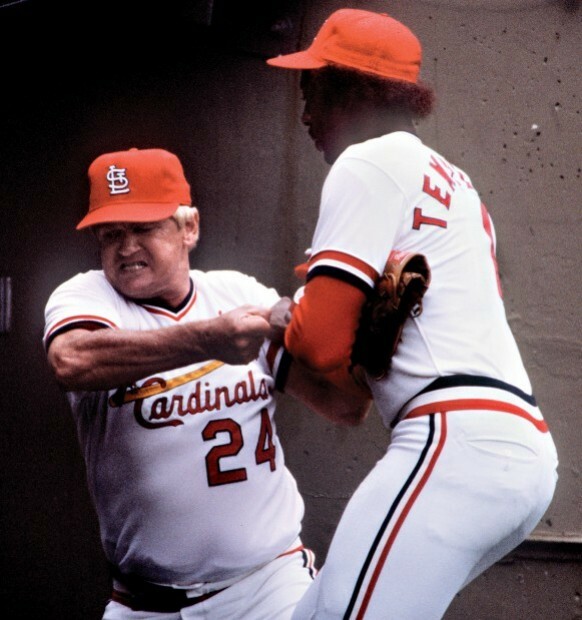 Cardinals Manager Whitey Herzog physically pulls short stop Garry Templeton off the field after giving the middle finger to booing St. Louis fans. After the season Templeton was traded to the Padres for another young short stop named Ozzie Smith. As both Padres and Cardinals fans can attest, the rest was history. October 4, 1955. Johnny Podres works during Game 7 of the 1955 World Series. At the age of 22 years old, Podres pitched 2 complete games during the ’55 World Series in which he only allowed 2 runs in 18 innings. He was awarded the World Series MVP and sealed his name in the history books forever. 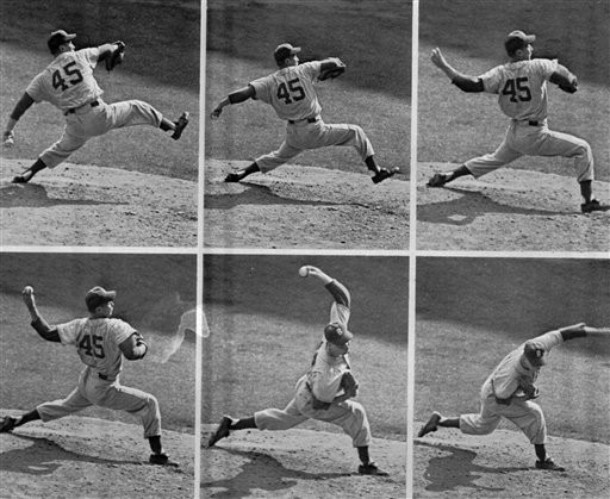 To watch some very cool footage of Game 7 of the 1955 World Series, click HERE. Today, my good friend John sent me a link to a photo from 1915 that he discovered while combing through the Library of Congress image database (link HERE). The photo sparked my curiosity and lead me to research the “White Autos” Baseball team of Cleveland, Ohio. While researching the team, I came across the above photo which was taken exactly 1 week after the photo John sent me. In addition, I found THIS article by writer John K. Davis in which he writes about the game. It turns out that the photo above captured one of the largest crowds in the history of amateur Baseball. On October 10, 1915, an Omaha team sponsored by Krug Brewery of that city met a Cleveland team sponsored by White Motors in the national amateur semi-finals, the winner to advance to San Francisco. The error-plagued Nebraska nine lost to the Ohio club 11-6 in a game that the Plain Dealer in a front page story the following day claimed drew a crowd of 100,000 to 115,000. Like the game the year before, the attendance figure was only a “guesstimate.” However, photos at the Library of Congress of the 1914 game and the 1915 contest leave no doubt that the crowds were huge. Perhaps, as big as the audiences for two Olympic exhibition games decades later. Do yourself a favor and read the Davis article and click on the links and photo above. ~ by duaneharris19 on January 19, 2012.